Florian Kohfeldt's first game in charge at Bremen ended in a 2-1 loss at Frankfurt on Matchday 11. Werder Bremen have confirmed that Florian Kohfeldt will remain as the club's head coach at least until the winter break. The 35-year-old was placed in charge of first-team duties following the dismissal of Alexander Nouri as head coach on 30 October. 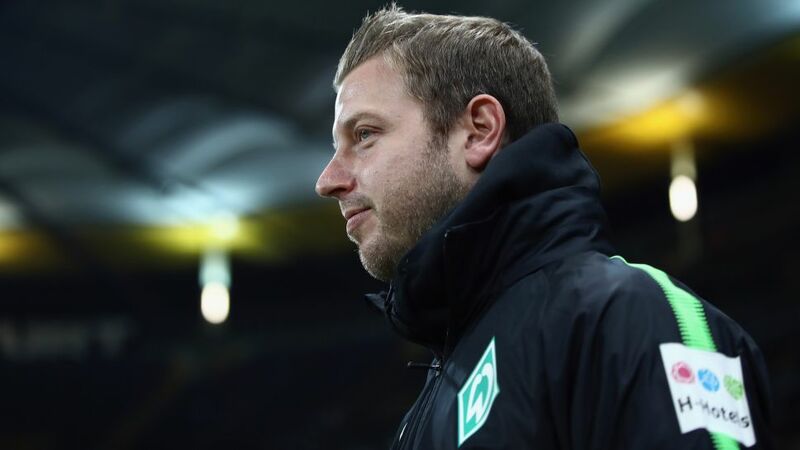 In Kohfeldt's one game as coach so far, Bremen were beaten 2-1 at Eintracht Frankfurt on Matchday 11, but the Green-Whites showed admirable battling qualities that evidently convinced the club to stick with him at the helm. "It's our view that Florian should continue his work at least until the winter break," said sporting director Frank Baumann. "He's earned this chance because in the last few days he's confirmed every positive impression we had of him. He was the benchmark in our search for a new coach and no candidate convinced us more than he did." Kohfeldt remains acutely aware of the precarious position he and the club find themselves in - 17th in the standings and without a win in 14 matches stretching back to last season - but he greeted the club's decision with relish. "In spite of the difficult situation, it's a great opportunity for me and for every player. Bremen have a better team than the table suggests and every one of us needs to show that out on the pitch. I'm delighted with the trust that's been placed in me and I'll work extremely hard to do this job."